This has become so apparent that many niche spring companies come to us at Hardware Products for their research and development because we serve a different market. We are the ones you go to when you need a small run of sample springs to try in a new or recently modified piece of machinery or medical hardware—and that can be for anything from custom-designed compression springs to flat, torsion, or extension springs, as well as wire forms and retaining rings. And by the way—should our newly researched and developed spring work out for you—we have the capability to run the more modest production run of 50,000 or so, per year. Long- and short-run capability isn’t the only differentiating factor when it comes to spring houses; much of the spring industry is divided into sectors or niches. There are specialties that companies focus on. These spring companies know they get a quality product from Hardware Products, and we act as a sort of clearing house for them. They know they get their springs on time—and they know that Hardware Products can do it more efficiently than they can. Does this sound like the type of spring supplier that matches your needs? As a matter of fact, many companies are so comfortable dealing with us that we have become their only spring house. We are their one-stop shop for springs: compression springs, extension springs, torsion springs, and flat springs, among the many custom springs we produce. 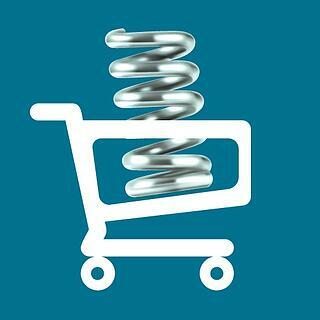 We have mastered the ability to provide our customers with an all-encompassing shopping experience, and last year we did business in each of the 50 states, with over 900 customers, and manufactured over 12 million springs in total. So, bust out your checklists and request a quote because we might just be able to check off all your boxes!